Character Folio, coming soon to ZWEIHÄNDER Grim & Perilous RPG! While we wait for the print proofs to come, here’s a sneak peak at our official Character Folio, coming in just a few short weeks to DriveThruRPG! 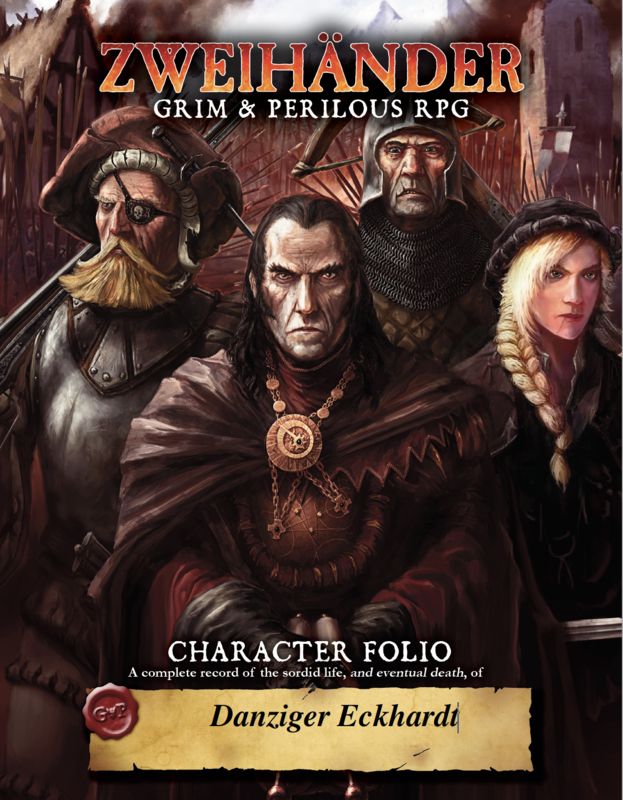 Record your Character’s grim & perilous tale using the official Character Folio for ZWEIHÄNDER Grim & Perilous RPG! Beautifully illustrated by Dejan Mandic and gloriously lain out by Ken Duquet, this adventuring journal not only allows you to catalogue the exploits – and eventual death – of your Character, but also collects commonly-referenced tables you’ll need as you play the game. The Character Folio comes in at a relatively inexpensive price point for print-on-demand, so you can have a folio for every Character you play. Or, purchase one POD, remove the binding and photocopy it for your fellow players. If that doesn’t suit your fancy, simply purchase the PDF alone and print out as many as needed. Best of all – the PDF is form-fillable for use with Roll20, Twitch gaming and other online mediums as you play ZWEIHÄNDER virtually with others around the world! We also future-proofed the Character Folio by including all manner of awesomeness from our second hardback coming later this year – MAIN GAUCHE! Pages 12 to 14: every weapon, armor, shield and related Qualities found in both ZWEIHÄNDER and the upcoming MAIN GAUCHE supplement! Page 15: a quick reference guide – and official sneak peak – at Vehicle Combat, an all-new subsystem meant to plug into normal combat found in MAIN GAUCHE! 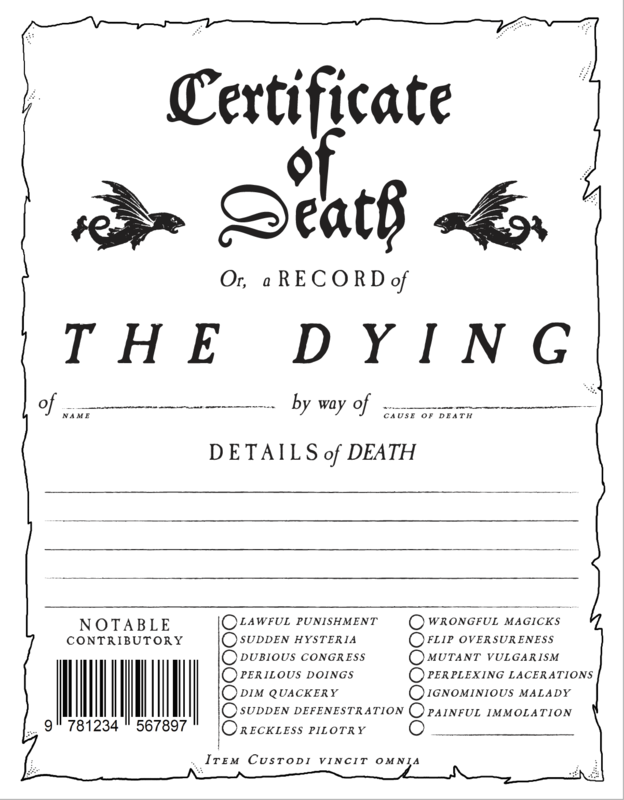 Page 20: a death certificate – a living record of how your Character perished during their grim & perilous adventures. Grab your official ZWEIHÄNDER Character Folio today, and prepare yourself for a world of grim & perilous adventure!